If you are a first time visitor we hope this site answers many of your questions about the Sons of the American Revolution. If you are a Compatriot this site will provide you with information about your Kentucky Society. Sons of Liberty – 1775 Statue dedication – National Society Sons of the American Revolution HQ – 809 West Main Street, Louisville, Kentucky. Perpetuating the memory of Revolutionary War Patriots and promoting fellowship among their descendants. Inspiring the community with a reverence for the principals of government founded by our forefathers. Marking the locations of the Revolution, its events and its soldiers. Celebrating anniversaries of the Revolution. Maintaining and extending the institutions of American freedom. Carrying out the purposes of the Preamble of the Constitution. Following the injunctions of Washington’s farewell address to the American people. Our membership is composed of male descendants of American Revolutionary War Patriots. These are direct descendants of both male and female Revolutionary War patriots with societies spanning the globe. There are societies in the United States, Canada, France, Germany, Mexico, Switzerland and the United Kingdom. Most of our Societies are composed of smaller organizational units called Chapters. There are more than 500 local and regional SAR Chapters. Individual members normally belong to a local chapter and their state, regional and national societies. Kentucky has approximately eighteen Chapters. 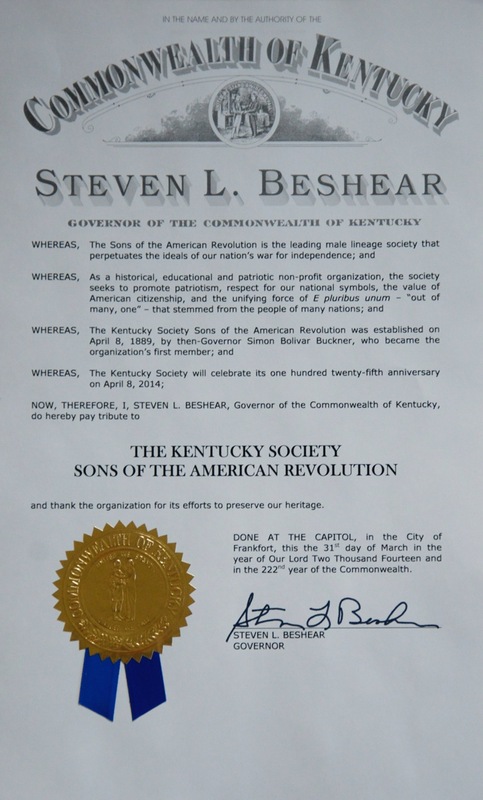 If interested in becoming a member of the Kentucky Society or one of its Chapters, please click here. The Headquarters for the National Society Sons of the American Revolution is located at 809 West Main Street in Louisville, Kentucky 40202. Our Headquarters phone number is 502-589-1776. The National Society’s Genealogical Research Library is an excellent place to begin the process of finding Patriot ancestors or climbing your family tree. 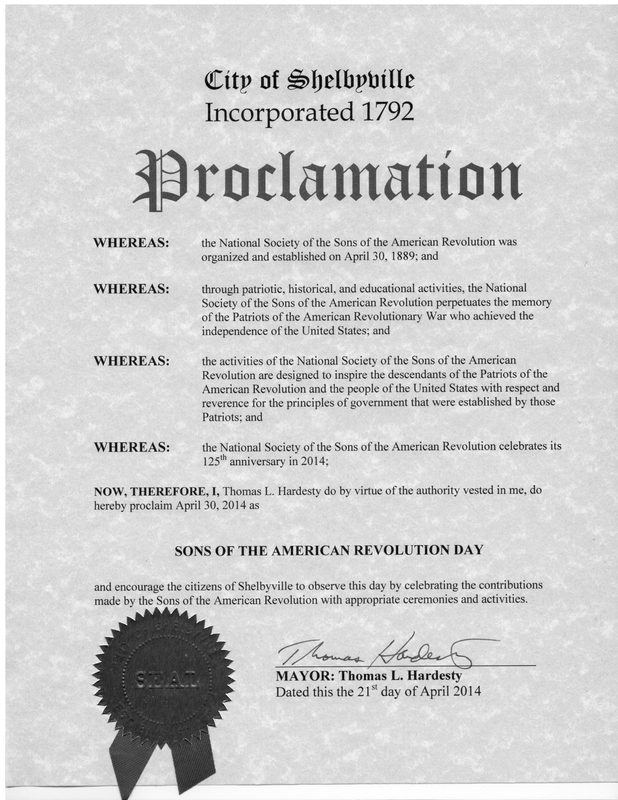 If you are interested in becoming a member of the Sons of the American Revolution, please click this link.